The Prophets Of Swing are a gypsy jazz inspired swing band with a modern edge. They first played together around 10 years ago and still going strong! 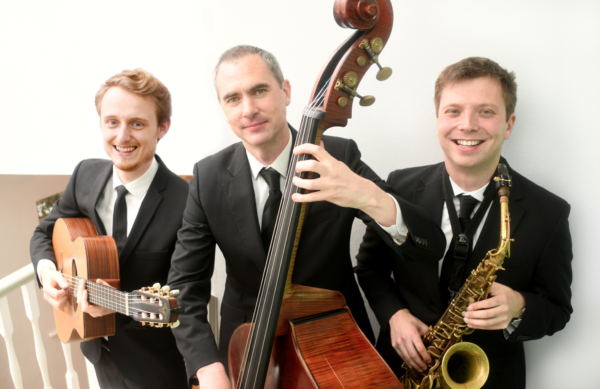 Comprising of alto saxophone, guitar and double bass, they perform a collection of jazz standards, Django Reinhardt compositions and some originals to create a sense of class at any event. The result is a haunting mix of energetic swing and relaxing melodies that would suit any occasion. Between them, the Prophets Of Swing have performed across Europe including top London jazz clubs (The Vortex, 606 Club, Jazz Café) and major festivals including Glastonbury and The Edinburgh Festival.